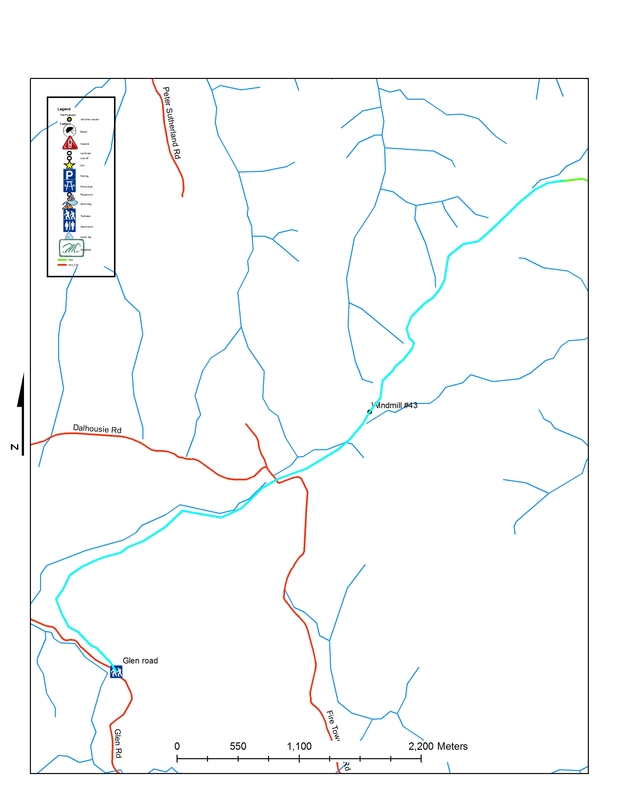 Information From the access point on the Glen Road, the trail follows the Old Dalhousie Mountain Road that is shaded by trees for the first few kilometres. Near the top of the mountain the trees thin out and allow for gorgeous views. 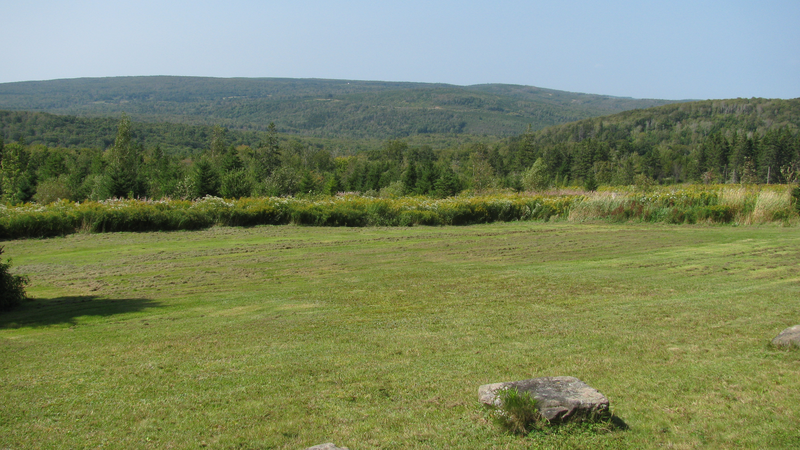 At the top of the mountain, the trail intersects with a service road that is part of the Dalhousie Mountain Wind Farm, leading you past Wind Generator #43 up on the bank to your left. After about 200 metres on the service road, the trail intersects again with the Old Dalhousie Road, ending up at the Willis Cemetery and Millsville.